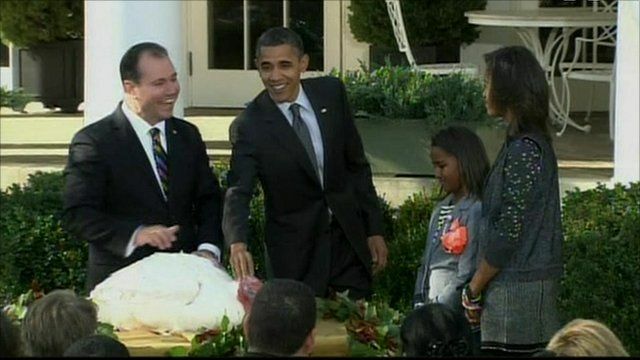 US President Barack Obama has pardoned a turkey at the White House as part of an annual presidential tradition held in advance of the Thanksgiving holiday. This year's National Thanksgiving Turkey, named Apple, comes from Foster Farms Ranch in Modesto, California. A back-up bird named Cider was brought along in case Apple proved uncooperative. President Obama was joined by his daughters Malia and Sasha.